So I thought I'd share my mega make-up haul with you. It doesn't look that much when laid out like this, and I didn't show you the brushes I bought because they're covered in make up and gross but this is the product of about $500 worth. Sephora also have a loyalty card called the "Beauty Insider" which I picked up back in 2012, so I continued to stack up my points this trip and having saved up 500, I nabbed this awesome little Bumble & Bumble set for free. Tell me Sephora ain't the best. 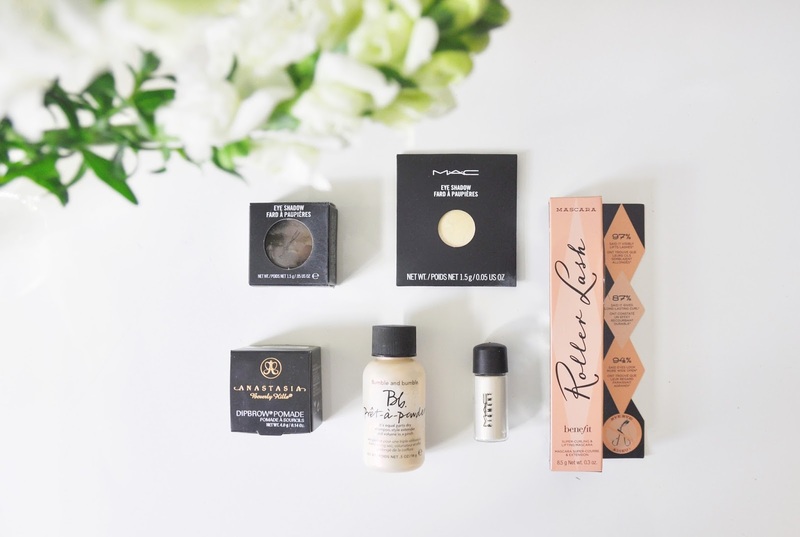 I had a huge to-buy list whilst I was in NYC, with make up being the number one thing on it. 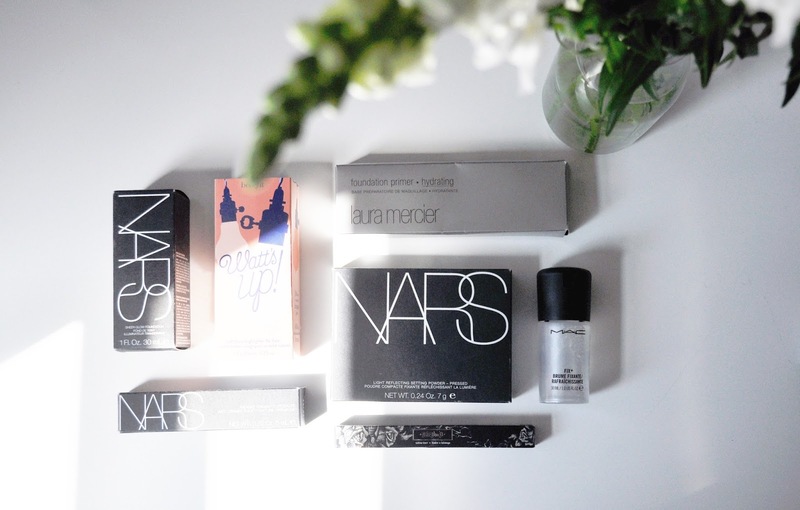 I desperately wanted to try Nars Sheer Glow, as well as pick up a few of my usual items. My favourites so far have to be Benefit's Watts Up, and Anastasia Beverley Hills Dipbrow. They are both amazing, the highlighter has a perfect champagne-y glow, and the brow gel kinda gives me brow envy of myself. Is that a thing? I'm in the midst of planning my next trip out there as it's literally my favourite place ever. Working on finding an internship/3 month placement out there for the summer, or next. It'd be a dream! Lower east side I'm coming for ya. Love the photos, I would love to shop in NYC! Great picks, it's always a disappointing feeling when you know you've spent tonessss of money but it all fits in a tiny bag! I'm going to New York next year for my birthday, even though its a while year away I cannot wait!